National Popcorn Day at KCineplex! This time-honored treat can be sweet or savory, caramelized, buttered or plain, however it is enjoyed, enjoy it on National Popcorn Day on 19th January at K Cineplex at The Mall of Cyprus. The word “corn” in Old English meant “grain” and maize being the most common grain in early America, the word “corn” was aptly applied. Popcorn started becoming popular in the United States in the middle 1800s. It wasn’t until Charles Cretors, a candy-store owner, developed a machine for popping corn with steam that the tasty treat became more abundantly poppable. Today, who can image going to the movies without getting a box of buttered popcorn. 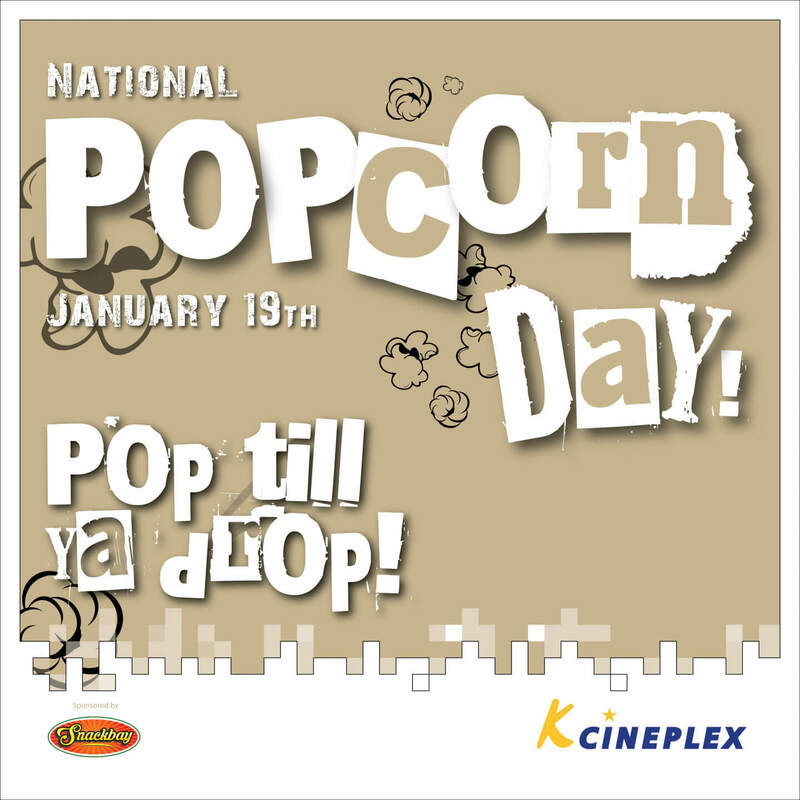 Join us on National Popcorn Day at K Cineplex and let us treat you with complimentary samples of our new sweet popcorn.